The recent anniversary of the 2013 Boston Marathon bombing has once again reminded us of how little we know about the psyche of terrorists that prompts such acts of violence against the public. The puzzle of what turns a person into a terrorist is yet to be solved. Is the person normal or abnormal, coolly rational or an inflamed fanatic? The effort to understand the why and how of terrorism arises from the hope that it can be stopped beforehand. It is a difficult quest. The history of terrorism has long acted upon the global stage, but for the United States, it is a relatively new public concern. The impact of terrorism as a political act was directly felt in July 1968 with the hijacking of an El Al flight by Palestinian militants. 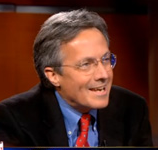 The U.S. was involved in the political ramifications of the event, due to its relationship in the Middle East. As a result of this event and general domestic and international turmoil, President Nixon became the first president to develop policies against terrorism. Since then, every U.S. president has had to deal with this significant and growing issue. Through declassified documents, including those curated by the National Security Archive as the Digital National Security Archive, one can see the struggle to understand, control, and overcome acts of terrorism and its perpetrators. 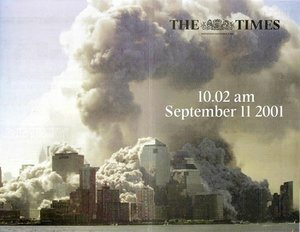 Directly after the horrific September 11, 2001, terrorist attacks on U.S. targets, the National Security Archive began collecting and requesting the declassification of important documents to comprehensively present a picture of the U.S. response to terrorism, presented in the collection: Terrorism and U.S. Policy: 1968-2002. 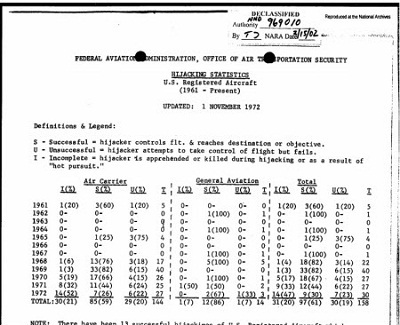 Looking over this collection of primary documentation, it is shocking to see just how many hijackings, kidnappings, murders and other acts of terror impacted a number of countries, including the U.S., throughout the 1970s, 1980s, and 1990s. There is no doubt that identifying terrorists remains an important goal for the government and the public. PolicyFile, another ProQuest resource, indexes recent U.S. grey literature on policy from over 350 think tanks, university centers, non-governmental organizations, and research institutes. A recent report from RAND Corporation, published this year, titled, “Identifying Enemies Among Us: Evolving Terrorist Threats and the Continuing Challenges of Domestic Intelligence Collection and Information Sharing,” raises concern about American “terrorism fatigue” and possible declines in funding counter-terrorism work. 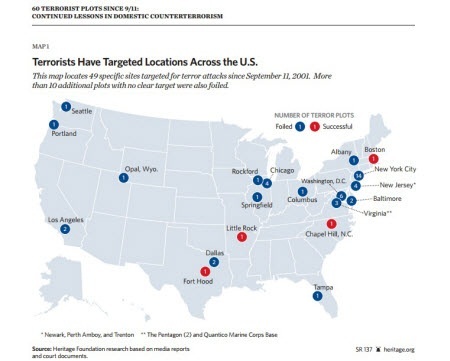 Each year, The Heritage Foundation lists and describes all known terror threats and events in the U.S. since 2011, mapping out all attack locations, successful and unsuccessful. Over the years, the terrorism perpetuators have undergone changes in methodology and motivation, and psychological and sociological interpretations and theories have progressed to keep up to ingest and analyze them effectively. Our access to primary and secondary sources, both historical and current, assists efforts to understand, and ultimately control, terrorism in the 21st century. Will it enable us to eventually spot a terrorist? The verdict is still out on that answer. For more information, see World Conflicts. 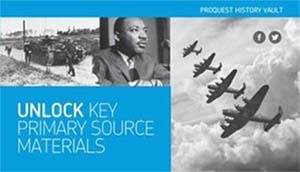 Librarians, be sure to sign up for free trials of the resources mentioned here and complementary databases, including ProQuest Congressional as well as House of Commons Parliamentary Papers for documents on terrorism, historical and current newspapers, and more. (1) Horowitz, Irving L. Political Terrorism and Personal Deviance Summary of Remarks at a Conference Sponsored by the Bureau of Intelligence and Research and the Planning and Coordination Staff]., 1973. Digital National Security Archive Web. (2) DeNike, L. D. The Psychology of Nuclear-Related Crime and Terrorism Invited Testimony to Subcommittee on Energy and the Environment, House Committee on Interior and Insular Affairs: Washington, D.C., February 26, 1976; Attachments Not Included], 1976. Digital National Security Archive Web. (3) Hudson, Rex A. The Sociology and Psychology of Terrorism: Who Becomes a Terrorist and Why?., 1999. Digital National Security Archive Web.